Many elderly people are recipients under Medicare when they reach a specific age, but there is quite a bit to learn here too. This is especially the case when we begin dealing with something such as a chronic, or terminal illness impacting an elderly loved one. Medicare does have options a caregiver, or the patient themselves can choose from with regard to the continuation of their care. This can get pretty confusing though. The goal here is to try to demystify Medicare for those elderly patients who do suffer with a terminal condition and are considering an alternative from traditional medicinal care. Hospice care is a common alternative to regular medical care, and if a patient meets the requirements under Medicare part A or B—they will become a recipient for this. Normally you qualify for this option when a doctor documents you only have 6 months or less to live. Hospice care does not continue trying to treat a condition, but it does work to manage pain and symptoms. Let’s take this time to examine how all of this works a bit more closely. Just remember hospice care focuses on treating the person rather than their condition. This can significantly improve those last months of life. Once a patient chooses hospice they are free to leave the hospital or nursing home, under the care of hospice caregivers. There is often respite care for a few days, where the patient is taken to a hospice facility to have their treatment plan staged and calibrate medication as well. The good news is that Medicare covers all of these various conditions. Further, hospice caregivers can often take some of the weight off of family members and even provide counseling services for coping with grief and more. Choosing a hospice care plan is not an easy one, but it is often a wise choice when traditional medical care isn’t curing the patient’s condition. Remember, if your elderly loved one is already enrolled in Medicare Part A, and they meet the criteria for Medicare covered hospice, this nearly covers almost all costs for care and necessary equipment. The treating physician must certify his or her patients medical condition for Medicare purposes. Following this, (as briefly mentioned earlier) the process is simple. However, no one can really say for sure how long someone will live. Some patients do live longer than expected, but they won’t lose their hospice care due to such a circumstance. Medicare does have a built in protection clause in case life expectancy is longer than initially predicted. 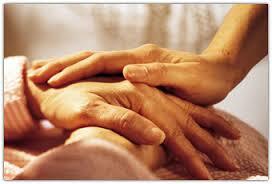 Hospice care can be continued as long as the patient needs it. One other stipulation to qualify for is that the loved one has to formally give up any medical treatment for there terminal illness. This is the part that is so difficult for so many families. Now, if another medical condition were to present itself then he or she could seek medical care for that, but not for the illness they qualified for Medicare hospice services under. What Services Does Medicare Hospice Provide to Your Loved One? Medical personnel are covered and includes: a physician who consults with previous doctor, hospice nurses, and a possible therapist. Personal aides are included: These are people who might bath, dress and feed your loved one when you’re not available to do so. Simple household tasks can be provided too. Counseling services are available: These are for the family and the patient to help deal with multiple emotional issues and to also help plan end-of-life decisions. Medication and equipment are included: This can include a wheelchair, respirator equipment, hospital bed and more. All medication is provided. Keep in mind that hospice cares not just for the patient, but for the family too. Everything is taken into account. Because of the emotional toll caring for a terminal loved one can bring, families should remain open to help themselves so they can remain healthy and strong during a very trying time. All medication is not provided, medications that are related to the diagnosis are. For example, if the hospice diagnosis is terminal lung cancer and the patient is a diabetic, the diabetic meds are NOT provided. That is very good to know! I wasn’t aware. Thanks for your feedback on the problems experienced on http://www.medicationcallreminder. Feel free to revisit and let us know what you think.